The social life of tea growers is not what it used to be. Look what has become of one of the Darjeeling growers’ clubs today! 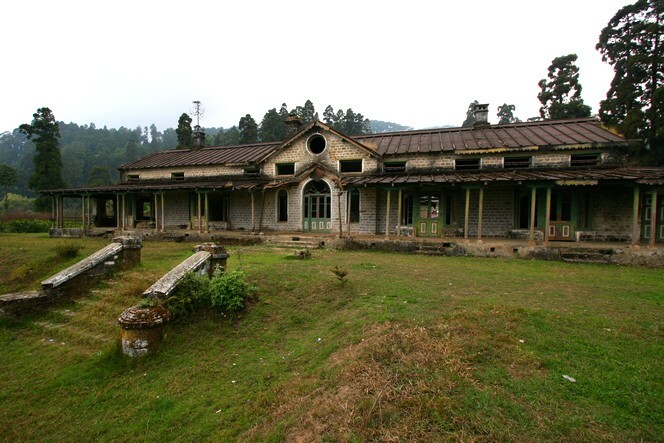 This magnificent building is in an advanced state of disrepair, and every time I pass it, not far from the Namring Tea Estate, it saddens me. Situated at the top of the valley and enjoying a magnificent view, its abandoned state sadly only seems to affect me. Under British rule, and up to around 20 years ago, planters would meet at least once a week, and would value this special opportunity to get together. Today, there is greater competition, and television, like everywhere, is destroying social life. So people stay at home. would be cool if someone could buy it or take over it’s management, and turn it into a traveller’s lodge of some sort. Or maybe an eco-resort….as a base for tea tours and education, maybe? It could be a sustainable use of the place-whomever owns it now?